You began your career as an opera singer and eventually realized that you were meant to be using your voice in a different way. Can you share a bit about your professional journey and how you came to founding JBC in 2004? What inspires and drives you to continue moving forward? Let’s talk about supplier diversity and supplier certification. Those two terms are still a mystery to many people. 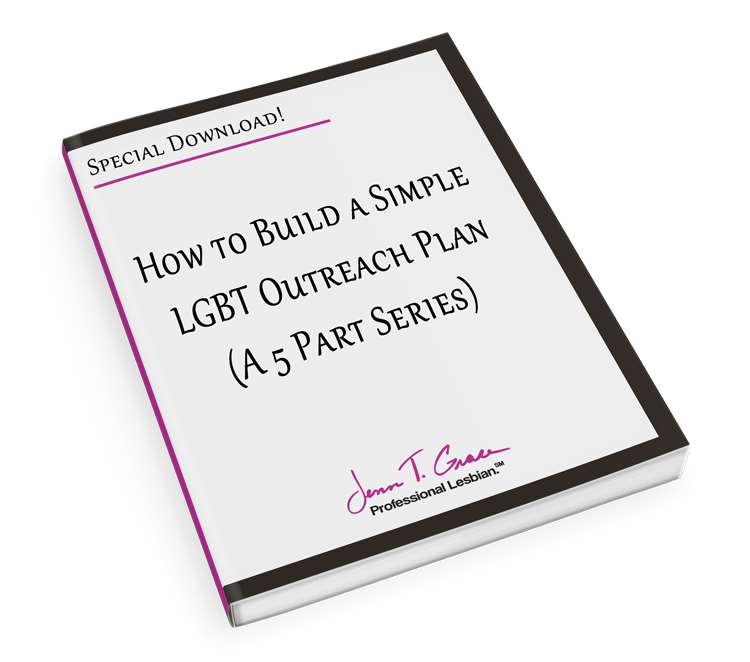 As an out lesbian, how have you been able to leverage your status as an LGBT business owner and as a women business owner? What is the most rewarding part of working with corporate clients? As a successful business owner, I’m sure you have picked up a lot of valuable insights and tricks of the trade along the way. If you had to narrow it down, what one piece of advice would you give to business owners and entrepreneurs? 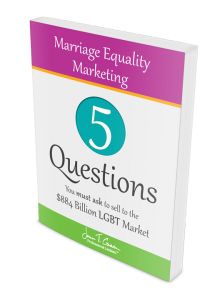 You mentioned that you are a marketer at heart. Can you share one piece of marketing-specific advice? You are clearly very passionate about the work you are doing. Is there something specific that you are particularly excited about at this moment? 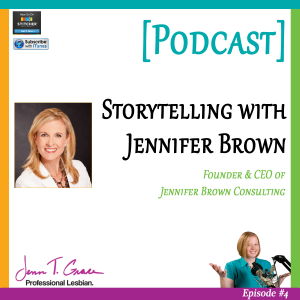 I am thrilled to be talking today with Jennifer Brown, Founder and CEO of Jennifer Brown Consulting (JBC), a New York City-based consulting firm that is a womenowned and LGBT-certified business. Jennifer is a vocal advocate for workplace diversity and a passionate social entrepreneur who has created a thriving business by doing the work she loves. Welcome, Jennifer. Thanks for that introduction, Jenn. I’m excited to be here speaking with you as well. Great, then let’s get started. You actually began your career as an opera singer and eventually realized that you were meant to be using your voice in a different way. Can you share a bit about your professional journey and how you came to founding JBC in 2004? My story has been an interesting one with lots of twists and turns. I originally came to New York to be a singer. I got a master’s degree in opera and voice, had an agent and was auditioning on the opera circuit. I really believed that was going to be my life. Unfortunately, the arduous training caused me to injure my voice and I ended up having to get several surgeries. Although I recovered fully from those surgeries, my stamina for performing multiple times a week and for touring became difficult to maintain. While licking my wounds a bit, thinking about what I wanted to do next, I realized that my stage background was actually great preparation for a career in training and organizational development. People who have performance skills do very well in this career because it requires creativity and the ability to improvise. In addition, as is true in many fields, you have to love selling and business development, which I did. I started out in internal HR roles, gaining my chops for the organizational development and consulting world. When I was laid off due to a restructuring at the company I was working for, I realized I was better suited to being an external consultant than working inside. So I made the decision to hang out my shingle. Initially, rather than incorporating myself or establishing an LLC, I took an interim step. I became a subcontractor for other training companies. They would send me into corporations and I would deliver training programs. Sometimes I designed those programs myself but most of the time somebody else designed and I delivered. Through that experience, listening to group after group of managers who attended these trainings, I started to form my own opinions about what was broken in the workplace and how it could be fixed. One thing led to another, and eventually I stopped subcontracting and started getting my own clients. I was finally privileged to start selling directly to my first client, then my second, then my third, then, before I knew it, it turned into 10! I started hiring people, and I began morphing my role from one that focused on delivery to one that prioritized running the business. I essentially went from working in the business to working on the business. That meant a combination of marketing, sales, brand building and thought leadership. Today, I continue to explore the journey around building my personal brand. There is my brand and then there is the company, JBC. The whole concept of being a founder who builds a company while at the same time thinking about your personal brand is something that I’m thinking a lot about these days. Personally, I don’t just want to be managing my business. I want to be out there changing the world in a broader way. This next phase of my professional journey will be about the intersection between my company and my personal brand, figuring out how to make both successful. Wow, that is quite a journey so far, and as you’ve alluded to, you are still on that journey. What inspires and drives you to continue moving forward? I’m driven by the fact that there is still so much left to be done related to diversity and inclusion in the workplace. Especially when you step outside of urban areas or the Fortune 100 companies that we tend to work with, many organizations haven’t made building an inclusive workplace a mantra and a commitment. They have not put in the investment, and their employees’ experiences reflect that. 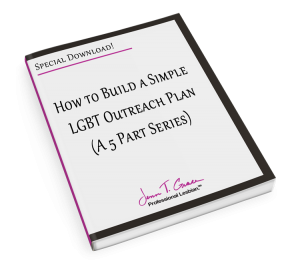 This is a very personal mission for me because when I was working in corporate roles, I was in the closet. I felt like there wasn’t a place for me in those environments, and now I realize what a loss that was for my employers. Companies lose when they fail to create corporate environments where employees feel comfortable bringing their whole selves to work. There is a clear, bottom-line advantage to encouraging diversity and inclusion in the workplace. 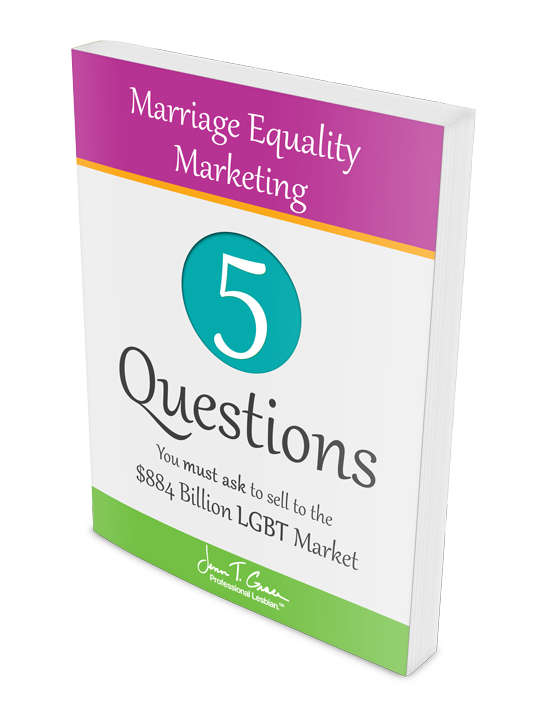 I believe that Find the Gay Business & Marketing Made Easy Podcast in the work we do at JBC is helping to spread that very important message. 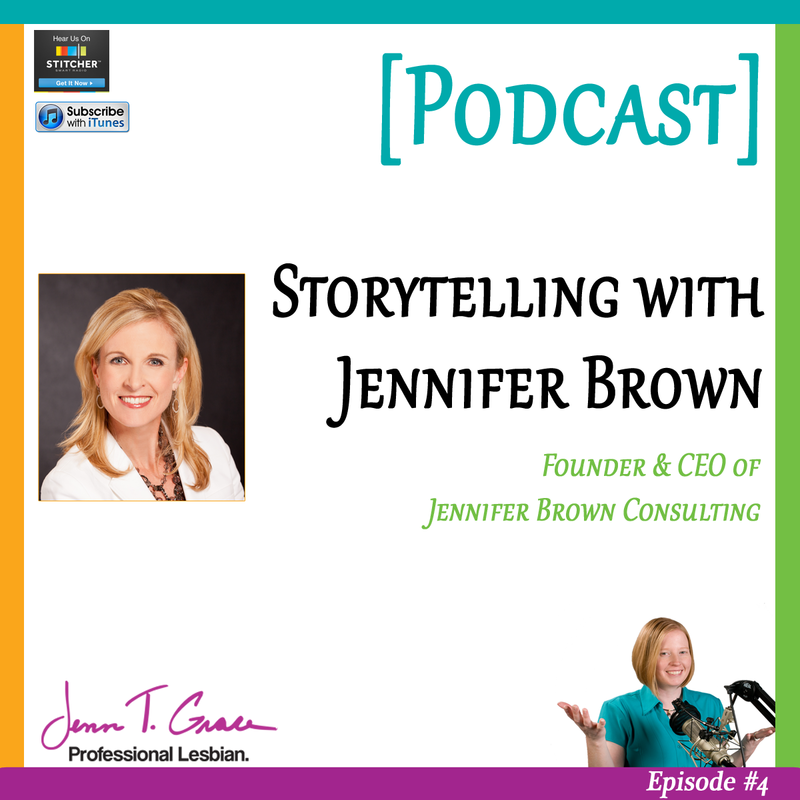 iTunes Find the Gay Business & Marketing Made Easy Podcast in iTunes Jenn T. Grace | www.jenntgrace.comThis is an especially important message to be heard among executives. They are the people who have the power and resources to stand up and say, “I believe in this, and here’s why we’re going to put our money where our mouth is as a company.” We help companies understand why they need to care about inclusion and how they can go about making progress within their cultures. Creating inclusive workplaces is a tool for growing a business and it’s critical for achieving innovation. Within corporate entities, we need to keep pushing at all levels—certainly at the executive level, but also among employees and entrepreneurs because change happens from the bottom up as well. At the end of the day, we are all marketers. Whether you have a sales role or not, especially if you are a business owner, you spend a lot of time selling. Supplier certification is very exciting from a marketing standpoint. For example, as a women-owned and LGBT-owned business, I get access to business opportunities that I might not otherwise have. I get access to a network of entrepreneurs, which is useful to me in terms of strategic partnerships, vendor relationships and also suppliers for our company. Also, the corporate network of sponsors that are involved with and support organizations like WBENC, Women’s Business Enterprise National Council, and NGLCC, the National Gay & Lesbian Chamber of Commerce, is highly valuable. The corporate sponsors are all over these organizations’ conferences and other events. The introductions that I have made and benefited from in this ecosystem have been incredible.  The relationships we’ve established through NGLCC and WBENC have led to bidding opportunities that weren’t always publicly known. We have bid on some of these RFPs and won! Bidding on an RFP is a time-consuming and expensive task for a small business, but these types of gigs can be game changers. If you win one huge contract, it can really change your trajectory in a positive way. One of our success stories was with a Fortune 50 financial services company. We bid on and won the opportunity to lead a three-day LGBT leadership-training event that this company now holds three times a year. We are now in our third year of delivering the program and the client is extremely satisfied with it. That is just one example of an opportunity that has come to me because of my status as a diverse supplier. People are often intimidated by these certifications because the paperwork can be intense. They want tax returns and letters of recommendation. For LGBT certification, there are even status qualifiers, which essentially require you to “prove” your LGBT status. It is certainly a robust process, but it’s also a very clarifying exercise that can help businesses get things in order. The certification bodies do not require high revenues. In fact, you can be a pre-revenue company and still get certified. So as an exercise alone, I believe certification is worth it. In addition, it is a great networking opportunity, and a feather in your cap that you can use to market yourself. Remember, certainly in the corporate sales space, the leading companies out there are trying to find you. The number-one most rewarding part is feeling like I am making a difference and leaving a legacy. I am planting seeds. It is so rewarding when I’m facilitating a training with a senior management team and someone finally makes a connection. They have a light-bulb moment. Maybe it’s a woman who realizes why she’s been facing certain challenges. Suddenly it clicks, and she understands how she can modify her behavior. Or I’ll be working with a white male executive, and suddenly he has a breakthrough—intellectually but also in his heart—about what inclusion really means, and why it’s so important. It usually involves locating something in that executive’s story that he can then use to communicate as a leader in a way that resonates with the workplace. I love helping executives understand, and truly believe, that workplace inclusion is an important part of their job, and that it’s important to them personally and to the business. When I can be a part of that change in mindset, especially at the executive level, it is really exciting. Sometimes just a little tweak at the top of the house can have a big ripple effect throughout an organization. The transformation of someone with influence and positional power can be huge. In that way, JBC is at the genesis of organizational change. The most important thing is to realize very quickly your unique gifts. That is a journey. You have to pay attention: When do you get energized? When are you in the sweet spot? When you run a business, you have to do a lot of things that you don’t like. For me, those things have been operational duties, setting up processes, and anything to do with finance and accounting. Immediately when I started my company, one of the first things I did was outsource my book keeping. I knew that I would be much more useful to my company if I was out there selling instead of entering taxicab receipts in Quickbooks. Many entrepreneurs try to take it all on themselves. They think they can learn how to do everything. Maybe you can, but that’s not the point. Running a successful business is a game of time management. You need to figure out what you can do very quickly and intuitively versus what things are going to unnecessarily eat up your time. As a born business development person and marketer at heart, I had to invest in a complementary senior person in a COO/CFO type of role. Without that, I knew I would run out of bandwidth and expertise very quickly. I wanted to safeguard our revenue and ensure that I was running a solid company. If you are at all successful, scalability will become a challenge. I recommend reading entrepreneur books that focus on scaling, such as The E Myth because it’s a very important topic. You can’t be everything to everyone, even if your company has your name on the door. So, ask yourself, what is your towering gift? Then put all of your energy there. You mentioned that you are a marketer at heart. Can you share one piece of marketingspecific advice? I love marketing. It is what I would do all day long, if I could. JBC’s business is all referral based. We have succeeded to a large extent through our pipeline of interest, which exists because of the branding and marketing work we have done. I am always out there circulating at conferences and events where my existing and potential clients gather. This is great for networking, as well as learning about best practices and thought leadership in your industry. I have built relationships with conference companies so that they now expect me to come to certain events. It has been an incredibly successful strategy for me. I can name 15 clients that have come from audience members when I was presenting at an event, or moderating or participating in a panel. I don’t charge for that kind of work. It’s a “give before you get” mentality. Make yourself useful before you even talk about money. Sales will come if you add value and put yourself in front of the right people. When you present yourself in a vulnerable and authentic way, people respond. When I participate on panels, I make it all about other people’s expertise and do whatever I can to help them get out their insights to the larger community. This has been a great way to build our brand and it has resulted in real business. Put yourself in the business of creating value and sales will follow. There is an opportunity for me to really invest in my personal brand over the next year or two. I want to become more visible as a person and a founder. There are CEOs, CEO and founders, and just founders. As a business owner, this is something else to ask yourself: Are you a founder? Are you a CEO? Are you both? I am much more of a founder than a CEO. What’s exciting for me is the opportunity to invest in the company in a way that allows me to pursue building my personal brand. This involves professionalizing my management team. The benefits of this will accrue to the company but I also want to monetize and create a good revenue model around the personal brand. I want the success of my company in combination with a refined personal brand to continue creating a rising tide that lifts the workplace as a whole. I am not sure yet how this structure will look, but I have the pieces of the puzzle. My challenge now is to find the best way of putting them together. Jennifer, thank you so much for taking the time for this interview, and for your enthusiasm and professionalism. It has been fantastic. Where can people find you if they want to learn more about you and your business? We have various online platforms where people can reach out: Our website is www.jenniferbrownconsulting.com If you need to get in touch with our company, email info@jenniferbrownconsulting.com Our Twitter is www.twitter.com/jenniferbrown We’re on Facebook and LinkedIn under the company name. We also have a group called Diversity & Inclusion Leadership on LinkedIn. The group is made up of are hundreds of people from our network, including entrepreneurs and corporate diversity and inclusion advocates. Members share articles and have lots of interesting conversations there, so if the topic is up your alley, I suggest joining that group. (You can find the group here: http://www.linkedin.com/groups?gid=4517615&trk=myg_ugrp_ovr) People can find additional information about JBC through researching ERGs, or Employee Resource Groups. A lot of our work focuses on ERGs, and we are one of the foremost resources for consulting in that area. If people Google ERGs, they will find our website as well as several thought leadership papers that we’ve published on the topic. ← How can I help my co-worker "come out" at work?